M KLAYA BAYSIDE child's bikini from the Banana Moon Kids summer 2018 collection. This bikini is distinguished by its floral print enhanced with black and white striped ties. The triangle top has an adjustable strap around the neck, in accordance with current European regulations, and fastens at the back with a clip. 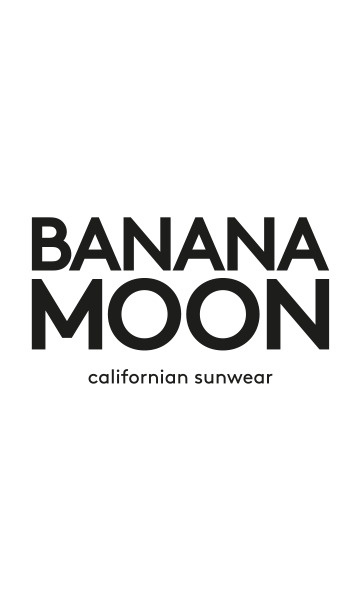 The neckline is trimmed with a jewel representing the Banana Moon logo that adds a discreet elegant touch. The bikini bottom features multiple black and white ties at the sides, creating an original sophisticated detail.